Newsletters, commentary and events from Shaw & Lines, LLC Arizona's Counselors to Community Associations. 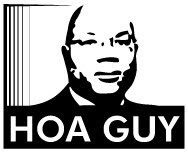 Also including our "Ask the HOA Guy" Q & A forum discussing hot topics in HOA law. Submit your questions to the HOA Guy at info@shawlines.com. Shaw & Lines Team wins "Small Firm" Division in The Night Run’s Law Team Challenge! A team from Shaw & Lines, LLC recently participated in The Night Run Challenge, an 8K race through Downtown Scottsdale benefiting the Workshop for Youth and Families. Participant in the Night Run Challenge included local law firms. The Shaw & Lines Team won the "Small Firm" Division! Congratulations to all who participated!! The cool shirts were designed and manufactured by Pinnacle Prints & Embroidery, who graciously sponsored the team. Their website is www.pinnacleprintsinc.com. Shaw & Lines, LLC sincerely thanks Pinnacle Prints & Embroidery for their sponsorship of the shirts. The information contained in this blog and on our website at www.shawlines.com is provided for informational purposes only and does not constitute legal advice. You should not act upon the information contained in this blog or our website without seeking professional counsel. Transmission of information from this website is not intended to create, and receipt does not constitute, an attorney-client relationship between you and Shaw & Lines, LLC, or any attorney of our firm. Sending e-mail to an attorney does not establish an attorney-client relationship. The firm has no duty to keep unsolicited information confidential and you have no reasonable expectation of confidentiality as to any such information.